I cannot believe our wedding is a little more than 7 months away. When Gabe proposed on my birthday (June 17), we decided on a fall wedding in New Orleans. My friend Darlynn got married last May and had a very short engagement (6 months to be exact). She stressed her concerns about me making impulse purchases and spending more money than I need to. She knows me very well.....but while I am absolutely buying stuff I do not need, I am making smart purchases while keeping track of my spending. Although I will be a first time bride at 35 years old when I say "I do", my Mom is still graciously providing a large chunk towards the wedding. At first the amount was $10k, then it went up to $12k - to cover the reception costs and a few odds and ends. This is one of the reasons I bought my own wedding gown and have been scouring the internet for best possible pricing on every possible item. While I am big about saving money, I buy stuff I will never use just because it is 90% off. It gives me a shoppers high unlike any other because I saved so much money (yet I have to spend to buy). This wedding has turned into a Megan bargin shopping extravaganza. I have spent more money in the past few months impulse buying for the big day. 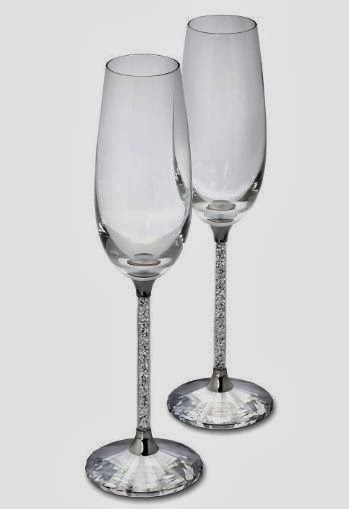 Le-Sigh.....So I have always dreamed of having these champagne flutes on my wedding day. Yet spending $400 on two glasses was not happening. Ever. Lenox had a similar set out a few years back but were sued by Swarvorski. I ventured off to eBay last week to see if any of the Lenox were available only to find said Swarvorski $400 glasses in it's original box and packaging with no reserve. On eBay, if it is a bid vs. buy it now, you can usually save a great deal of money. I set my final price for these glasses, which was still WAY higher than I normally would have spent at $175. I ended up winning them for $155 and I couldn't be happier. Although I do want to drink out of them every night. Thoughts: This is an item that I absolutely did not need but have dreamed about since I first saw them in person. I couldn't walk away from the price. A major plus about having a long engagement is being able to get a true vision of what you want for your big day and then patiently waiting to find it at the right cost. I was very fortunate with our centerpieces and found someone selling exactly what I was looking for in South Florida. The photo above was from her wedding and the difference will be, my flowers are red roses and my chargers are silver. I got 15 candelabras, 32 rhinestone square candle holders and a few other items for $250. If I were to purchase these items alone, I would have spent well over $500. Thoughts: I found out after the purchase that my hotel offers centerpieces but they did not fit my concept. For $250, I am happy with the purchase but as a lesson to other brides to be - find out if your reception venue offers centerpieces. Apparently, this is quite common. No, I did not need Tory Burch wedding flats but I really wanted them and my Mom very happily bought them for me. 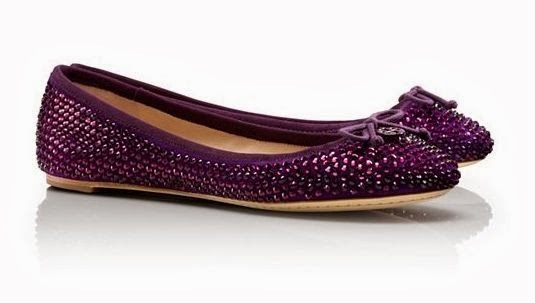 These match the bridesmaid dresses and are amazing in person. Not to mention, Tory Burch is my favorite designer. We got them on sale after Christmas when Tory was having an additional 20% off already marked down items. The shoes were originally $275 and we got them for $150. Thoughts: Again, these were shoes I did not need. Yes, we could have gone cheaper but I would never wear them again. These shoes, I will wear time and time again. I bought both of my dresses online. 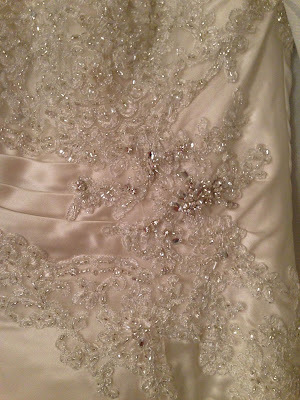 The formal one is a Maggie Sottero purchased via Wedding Bee classifieds for $250 (orig $1600) and the shorter one is a Allure purchased via eBay for $320 (orig $999). I bought both without trying them on and prayed they would work for me. All along, I knew worst case scenario was they would look awful and I could easily resell them on eBay. I got very fortunate with both and have two dresses for less than $600. Thoughts: Still my best purchase to date. I don't think anything will top these two purchases. This is one of the very fortunate things about having an extended engagement. You can take chances with dresses and other big ticketed items. To date, everything purchased and contracted for our wedding has been done online. We went into contract for our ceremony via email. Our reception was located via the internet (we did see it in person before signing contract). Bridesmaid dresses, my dresses, shoes, centerpieces, flowers, etc. was all decided upon online. Thanks to the powers of pinterest for keeping me organized, I will have the wedding of my dreams at a fraction of the price (and stress!). The downside to extended engagements are watching people who have been engaged shorter than you are getting married. I went from always being the bridesmaid to always being the bride to be. How long were you engaged before you said I do? I love the flutes and way to get em cheaper too! The shoes are amazing as well! It is your BIG day, treat yourself. You will use the flutes and shoes after the wedding! I was engaged just 6 months as well, had the best wedding, honeymoon and party afterwards! Cheers to you girl! You are saving so much on a wedding dress, you just basically made up that difference in higher priced items. So what? Go YOU!! I think you are doing a fabulous job at saving and finding deals for those quality items that you'll enjoy and have always wanted. 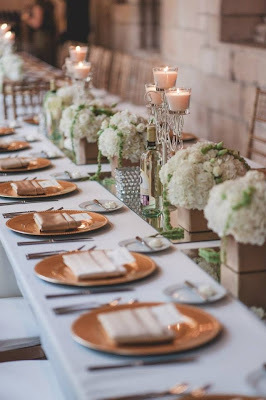 I know you aren't buying anything on credit so you are rocking the wedding planning big time, and your mom is amazing for helping you so much too. It's all coming together so fantastically! I've used some of your advice for my cousin's wedding in October. Could you tell me where you found the bridesmaids dresses? We need 4 in totally different sizes but in one matching color. Thanks!